Lourdes Water in glass Lourdes Holy Water bottle with a 3-D plaque on the front depicting the Lourdes Apparitions. This bottle measures 6.5 cm tall (2.5 inches). Please note this product is non consumable and non returnable. 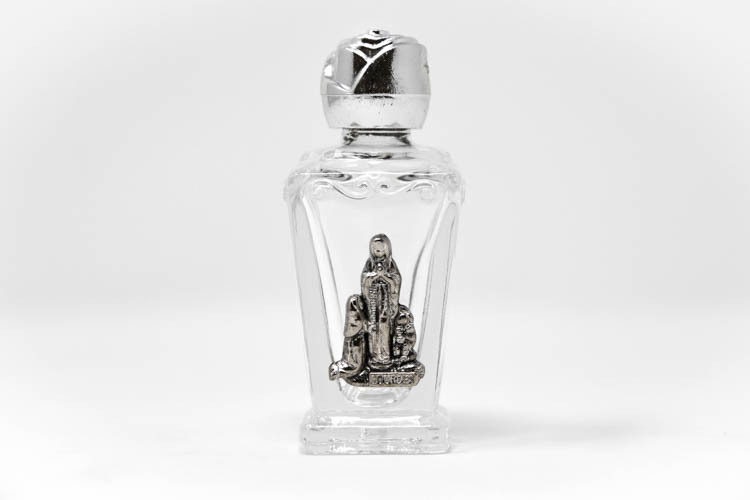 A glass bottle of Lourdes holy water with a silver rose cap. It has a 3D silver plaque depicting St. Bernadette kneeling to Our Lady of Lourdes. This bottle measures approximately 6.5 cm in height. Plus Lourdes Prayer Card By Direct From Lourdes.